Early this summer, I will be opening Josiah’s Coffeehouse and Café in the new CNA Building on the Historic Eastbank of Downtown Sioux Falls. Named in honor of one of the key founders of Sioux Falls, Josiah Phillips, the coffeehouse and café will offer fantastic coffee from Seattle’s famed Caffe Vita Coffee Roasting Company and homemade fare for breakfast, lunch and dinner. A warm, inviting atmosphere, the best coffee in Sioux Falls and fresh-baked goods will be our signature. 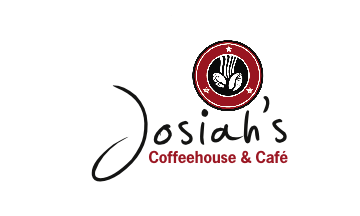 Below is an article that ran this morning by the Sioux Falls Business Journal on Josiah’s. Once we open in early summer, I hope you will visit us on the Eastbank and give our coffee and food a try. This will be fabulous! Thank you, Steve, for continuing your passion for downtown SF. Are you sure you don’t want to open one by the new EC? The economic climate out there is so favorable. Bwahahaha! I agree, Alice. He should have waited to put it in the ground floor of the new EC parking ramp. Open in summer, closed by spring. It’s a risk but ‘nothing ventured, nothing gained’. Keep your customers away from the mayor’s multi-million dollar homeless drowning slip into the river. I haven’t been up close to the new CNA building as its being built. Does anybody know how “walkable” it’s going to be? In other words, will it be easy for me to walk up to this coffee shop from the street, or will it be more car-oriented, with a big parking lot? I have been near it and it will be pretty accessible for cars, walkers, bikers, etc. The parking lot for 8th & RR is right next to it as is the bike path. What new EC parking ramp? That’s not in the plan. LOL. @ Tom, I’ve seen the space and it will be just to the right of the front door of the building. It will be about the same as grabbing a cup at Kaladi’s downtown. You will have some parking off Reid street in either CNA’s lot or ramp, or you can pull into 8th & RR’s lot and cross the street. @ Scott, as long as he isn’t giving his customers Salmonela from the cheapest & shittiest ingredients he should do just fine, even without the multi-million $$ corporate defense fund. No hatin’ here, in fact…I eat there quite a bit (more than I should) even though we didn’t even get a sniff at any of your recent work. Just thought one low blow deserved another. Oh, I thought Sy was picking on me. Though we are a franchise (owned by Bain Capital, the ones behind reducing wages for servers in Florida) I will say, we prep everything fresh, everyday, no preservatives, meat is always Grade A and fresh (beef and chicken). While there are some things I don’t like about the franchise, I will say that quality for the price is pretty good. As for the new coffeeshop, I wish Steve the best of luck. I am always looking for new places to eat DT, and since the Diner is really the only place to have breakfast, a real breakfast DT, it will be nice to have another choice. My joke about money is just that, anybody in the restaurant bizzo, especially DT will tell you it is not that lucrative. Finally, a coffee shop for the rest of us poor schmucks!